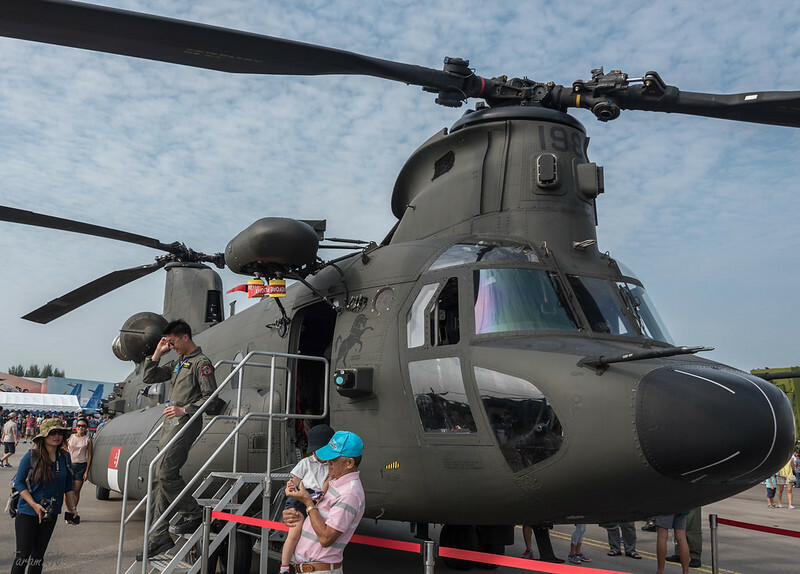 I attended the Singapore Airshow, 2018 edition, on 10th Feb 2018. This post is a bit about the airshow, mainly from a photography point of view. I bought the airshow ticket online from Sistic in late December 2017. I arrived in Singapore on 9th Feb 2018 and collected my ticket from one of the Sistic counters on Orchard Road by showing them my booking confirmation and ID - absolutely no hassles. 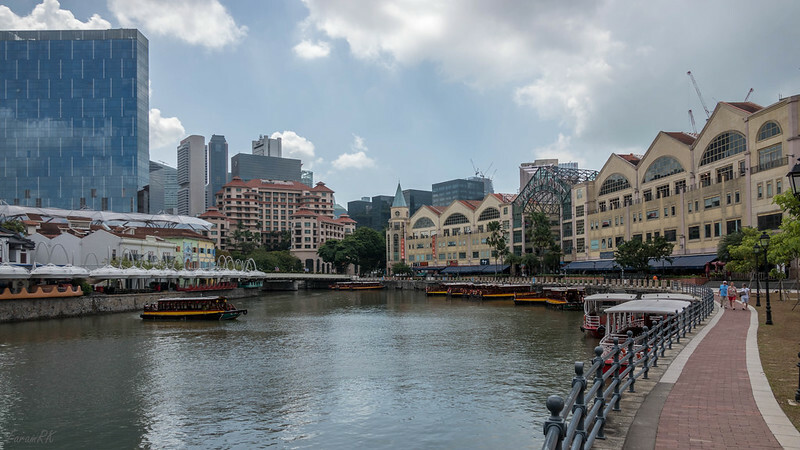 Next morning, at 08:05, I took a taxi from my hotel at Clarke Quay to Singapore Expo Hall 7, a bit south of Changi Airport. Being a weekend, there wasn't much traffic and I was at the Expo hall at 08:30. 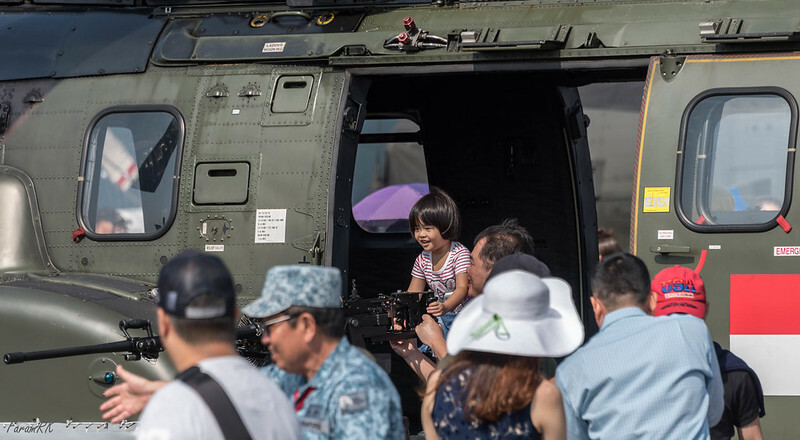 Everybody was whisked quickly through multiple queues in the large air conditioned hall via multiple metal detectors to waiting airshow shuttle buses. The staff were extremely courteous and friendly and I was on the bus at 08:37. If everything in life ran so efficiently and smoothly ! Then it was an 18 KM ride in the shuttle bus to the airshow venue at Changi Exhibition Centre. The road skirted around the eastern side of Changi Airport. On the right side was a long thin strip of woodland next to the sea. This was one of the few places in Singapore where the flora wasn't manicured, and it was refreshing to the eyes :) . Also, along the way we saw the famous Singapore warning signs - on the left, along the water treatment plant fence, signs depicting a guard pointing a rifle at an intruder with hands raised, and on the right, signs proclaiming 'Trespassers will be Arrested' :) Back where I come from, the signs just say timidly 'Trespassers will be prosecuted' ! We reached the venue at 09:10 and everybody streamed into the viewing area. Although the show would start at 09:30, there were already quite a few people occupying the photographers raised benches at the left corner of the area. The shuttle buses were arriving back-to-back, and the viewing area would soon be filled to capacity as the day progressed. This time I took all required items, and then some, to cover all eventualities. One doesn't incur all this expense and a four hour flight to another country, just to find that some crucial bit of gear was left behind. My main camera was my trusty old Nikon D750 full-frame DSLR. 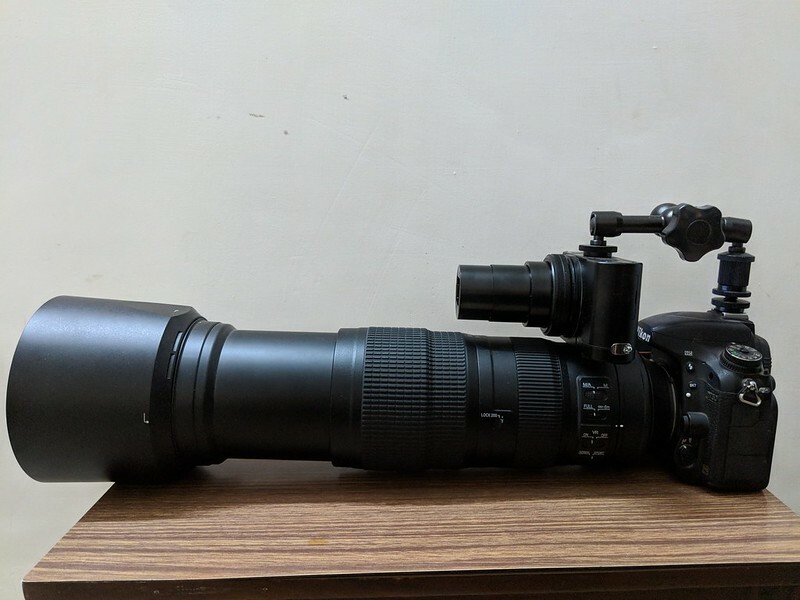 This was paired with a Nikon 200-500mm telephoto zoom for the Flying Display and the Nikon 28-300mm for the Static Display. 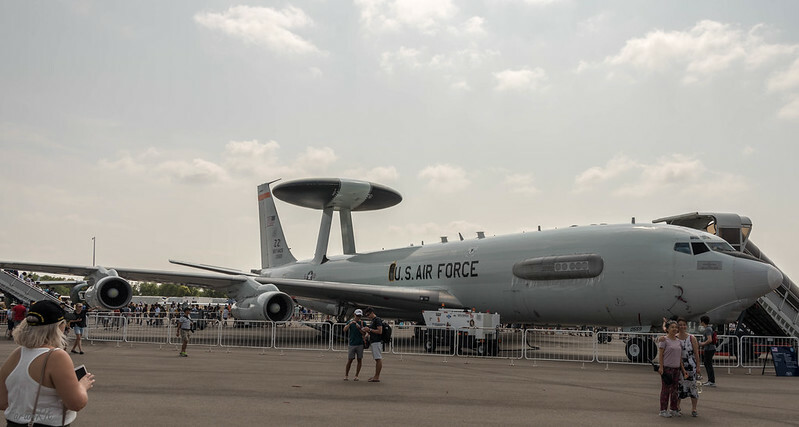 I also carried the Samyang 8mm ultra wide angle lens for some area shots, although I didn't use it at the airshow. My backup camera was the Sony RX10 IV 1" bridge camera, which I also used for video. In addition I had a Pixel 2 phone camera for video and the odd selfie. I carried three batteries for each of the cameras along with their chargers. A variable ND filter for the RX10m4 in case it was called upon to take shots of prop aircraft and helicopters. 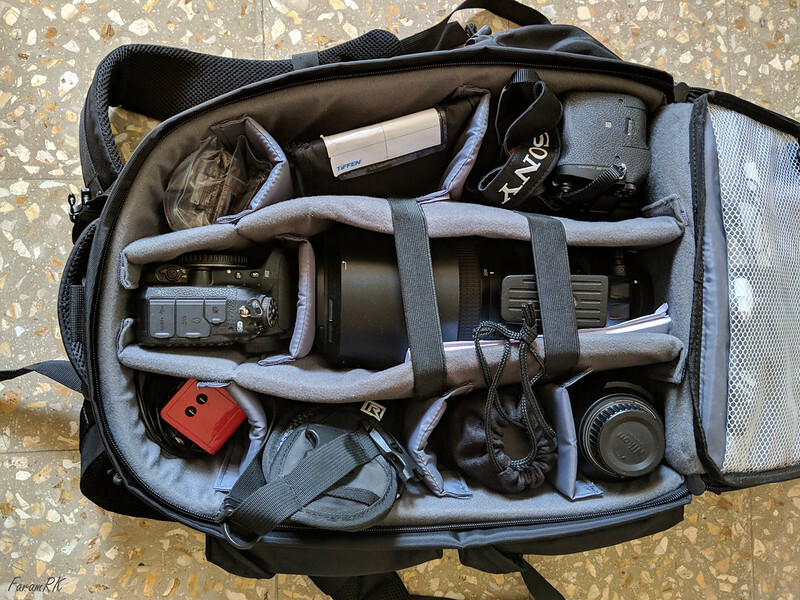 I also had a Black Rapid shoulder strap for carrying the camera and telephoto lens combo but I didn't use it as I preferred to just hold the gear with lens tripod foot, or rest it on the ground between passes. Finally, I had a sensor and lens cleaning kit and electrical connector cables of various kinds. The whole lot fitted inside a backpack weighing just over 9 kg. Add a 1 Litre water bottle and the load was 10 kg. Not too bad, but not something you'd want to cart around the whole day unless really required. I went straight off to the Static Display area to see as much as possible before the main course, the flying display, started at 11:30. I started off with the F-35 full-size scale model. There already were queues building up at each of the aircraft, especially the ones which allowed people to sit in the cockpit or enter the fuselage. Next up were the helicopter displays. I saw many types that I had never seen before in real life. 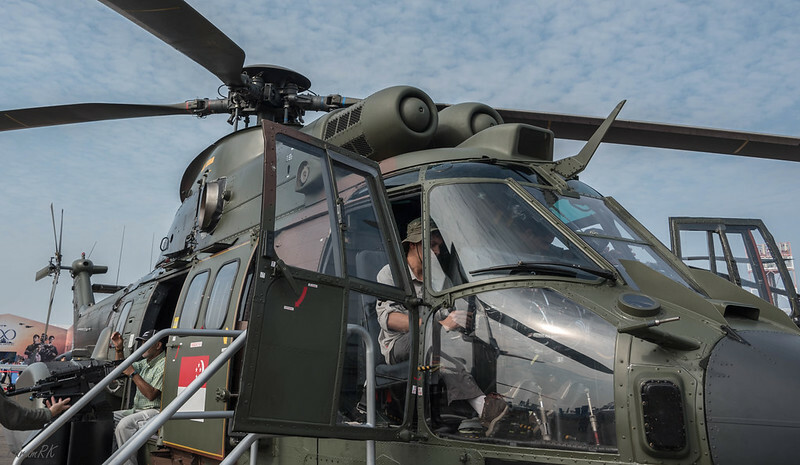 After standing in a couple of lines I got to sit in the cockpit of an RSAF (Republic of Singapore Air Force) Super Puma and an AH-64D Apache. There was also a chance to walk inside a Chinook. Next up were the RSAF F-15 and F-16 fighter jets. The F-15 was a another first for me. There were long lines at each of them of people wanting to sit in the cockpit. I had always wanted to sit in the cockpit of a modern fighter jet, but I was running out of time before the flying display started, so I snapped off a few shots and moved on the the next display. I decided to return for the cockpit tasting during the second half, after the first flying display - big mistake. By the time I returned, the lines had lengthened to impossible numbers and I was unable to make it into any of the fighter jet cockpits. Next time I'll try to be among the first in line ! 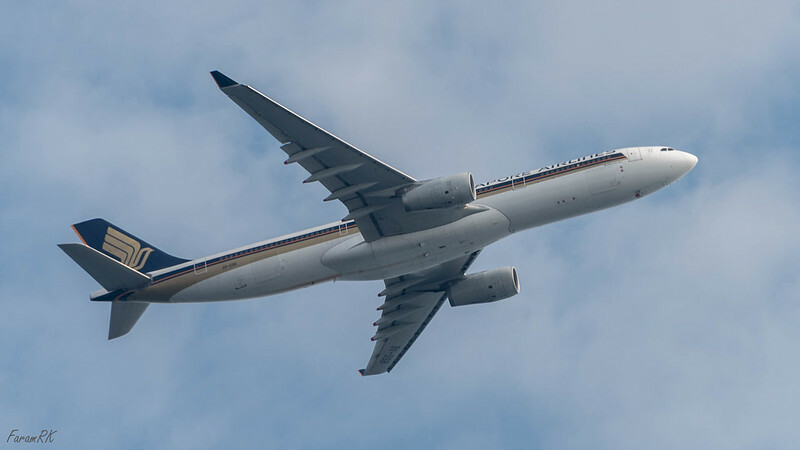 While checking out the static display, I clicked a few opportunistic shots of airliners departing one of the 02L/02C runways of Changi Airport (WSSS) to the west. Next up were some USAF big boys. 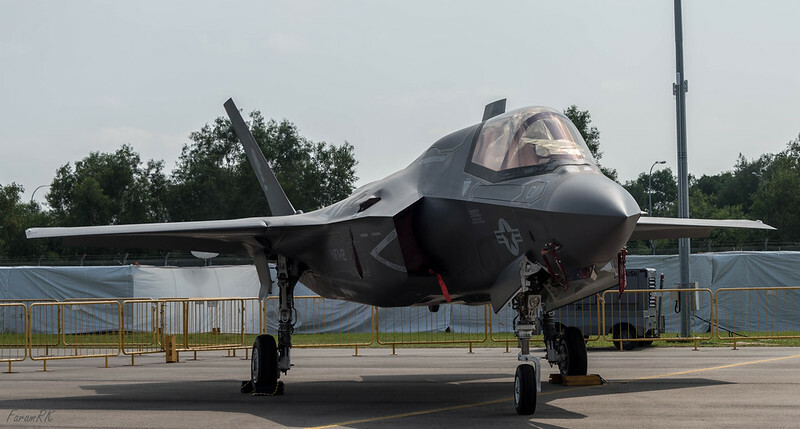 This was followed by a couple of F-35B and F-22 stealth fighters at the far end of the static display area. I had never seen stealth fighters in real life before and the aircraft looked superb, glinting under the bright sun in their muted colours. After this taster, I rushed back to the viewing area to grab a suitable spot for the flying display. 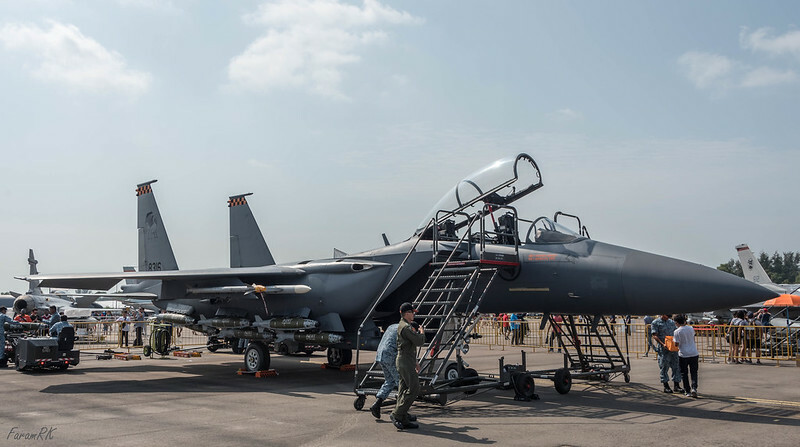 The opening was done on the dot at 11:30 by an F-15 and two F-16Cs of the RSAF Integrated Team. 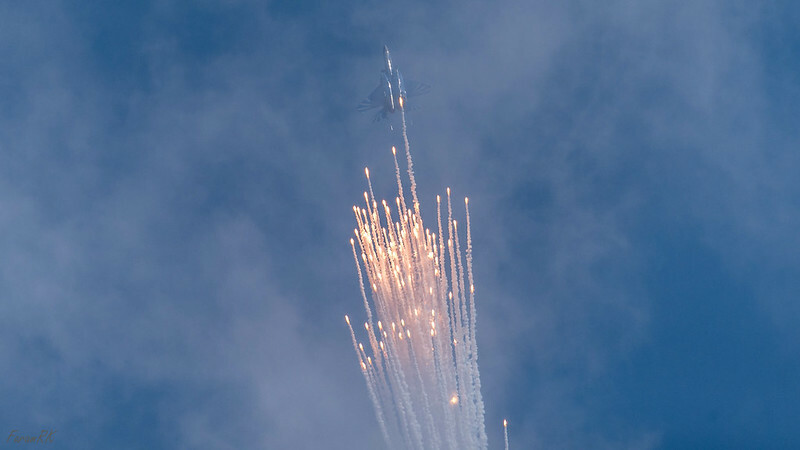 This was the first time I saw flares dispensed at an airshow, and it was impressive. Next up was a JAS 39C Gripen of the RTAF (Royal Thai Air Force). 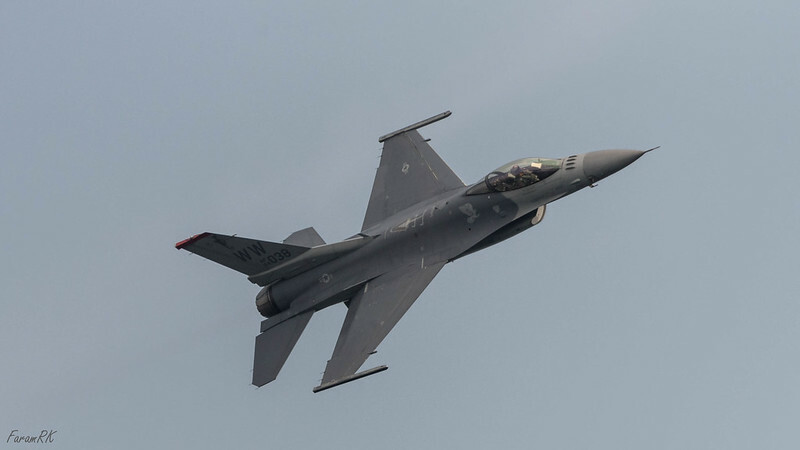 As per the flight schedule, next up would have been the South Korean Black Eagles team, but due to a mishap that they suffered earlier during the airshow, their item was replaced by a USAF F-16. In all the airshows that I've attended, the F-16 has executed the tightest turns, by far, of all modern fighter jets. 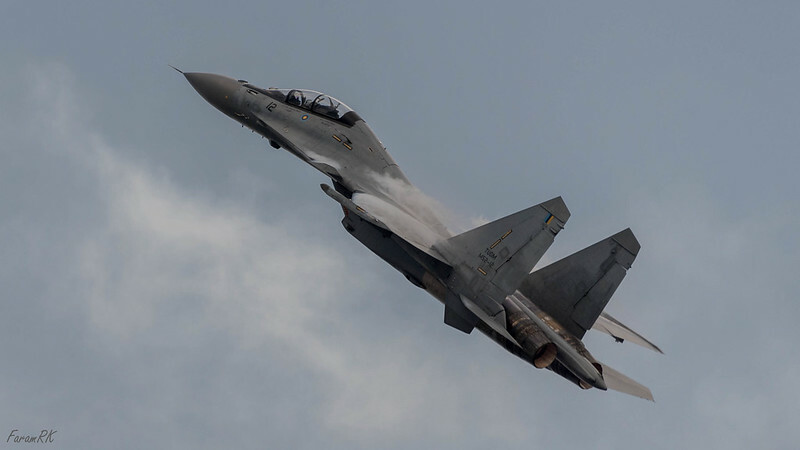 Next up was an RMAF (Royal Malaysian Air Force) Su-30. In addition to other manoeuvres, it performed the Cobra manoeuvre - very impressive. This ended the first flying display of the day at 12:15. The flying line was east-west over the sea north of the viewing area. 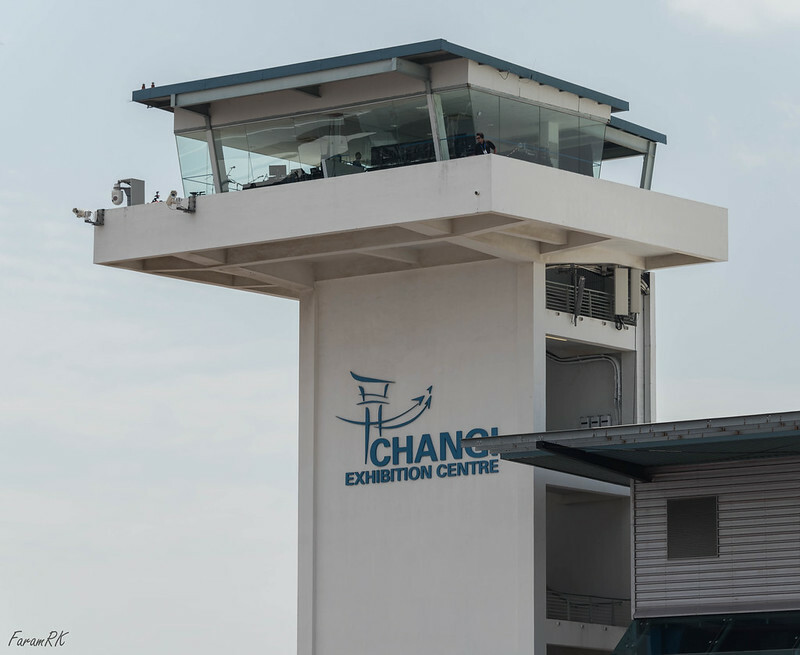 While the flying display was on, all air movements at Changi were halted as the flying display zone interfered with the departures from the 02 runways. There was a very good running commentary from the Control Tower. Each team had their own announcer who described the manoeuvres, along with suitable (or otherwise :) background music. This was broadcast over huge speakers of the P.A system. By now, the crowd had increased manifold. 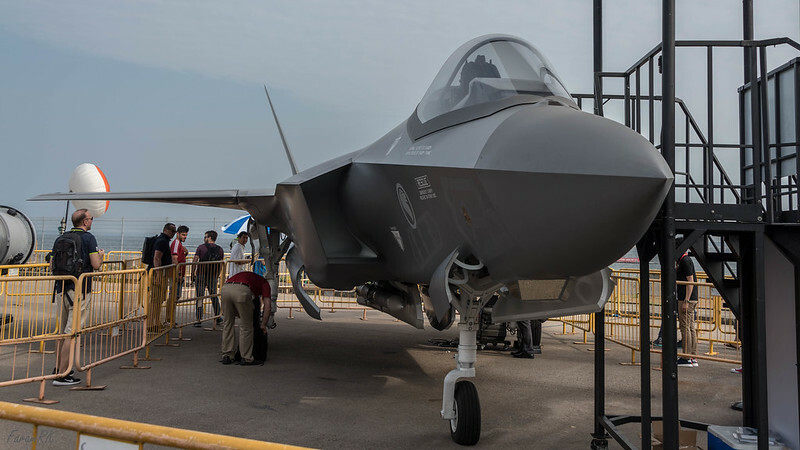 Even the line for the F-35 full-scale model had reached impossible proportions - and this was the first item on the static display ! I waited a while for the crowd to disperse via the narrow entry to the static display area, then plowed in for the second round of static viewing. This time around I checked out the civilian aircraft on display. They don't usually get much love, being overshadowed by the military hardware on display ! 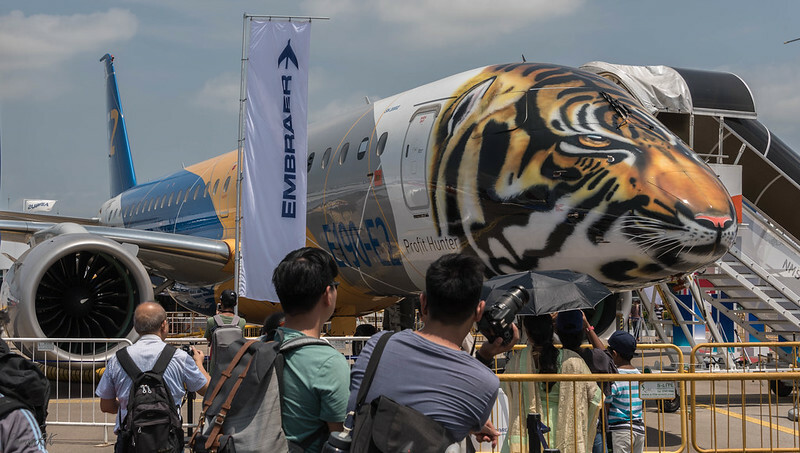 There was an Embraer E190 with a striking Tiger livery. Another first for me was the Airbus A400M heavy lifter. 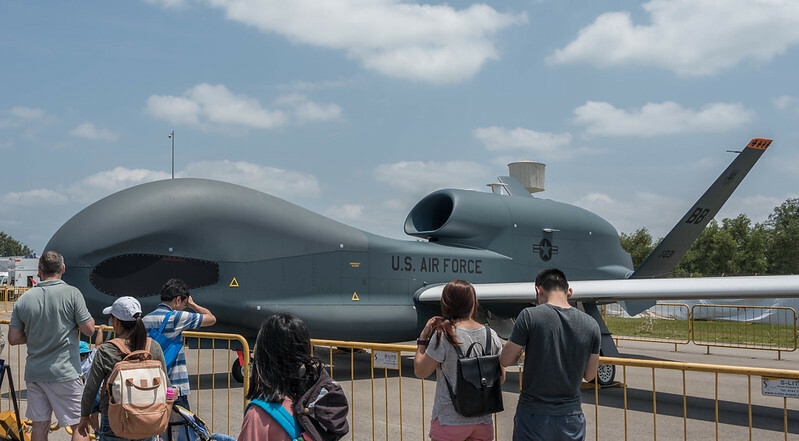 This was followed by a quick look at the Global Hawk UAV, and another round of the USAF and RSAF fighter jets. Then it was back to the viewing area for the second flying display of the day starting at 14:30. This time it was harder to find a suitable spot, due to the larger crowd of spectators. 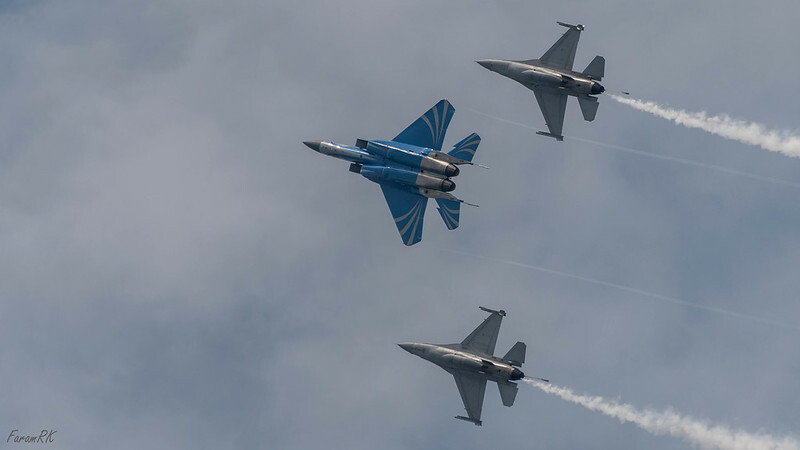 The second round again began with the RSAF Integrated Team display. 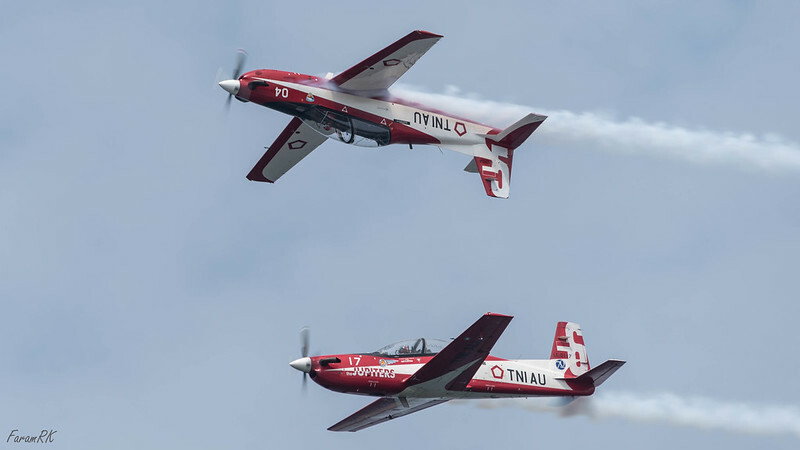 This was followed by the Jupiter team of the Indonesian Air Force. This was the only props display of the show. Though it didn't have the 'shock and awe' of the fast jets, they more than made up with their graceful and precise manoeuvres. 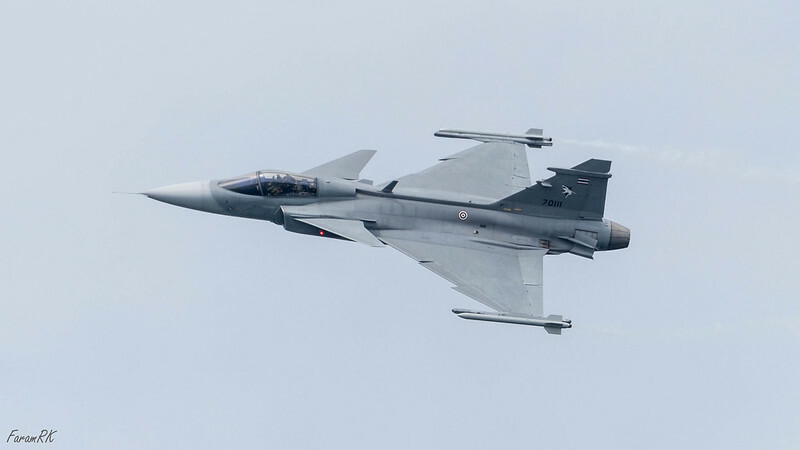 This was followed by another round of the RTAF JAS 39C Gripen. 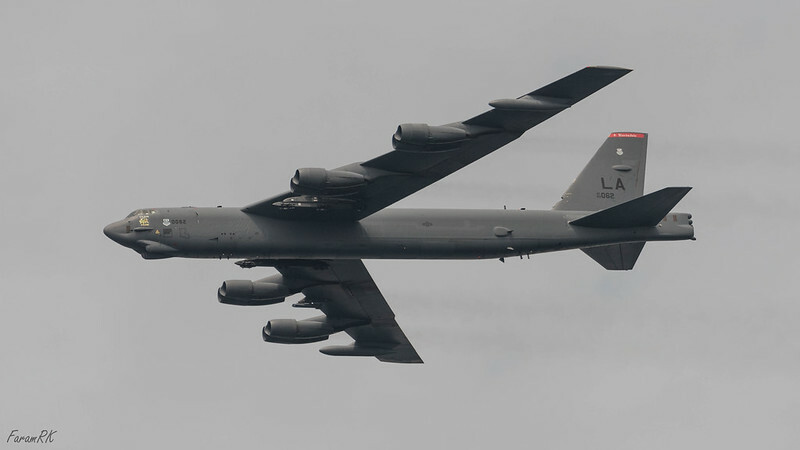 And finally for the final flying display item, arriving from the east was a B-52H bomber. 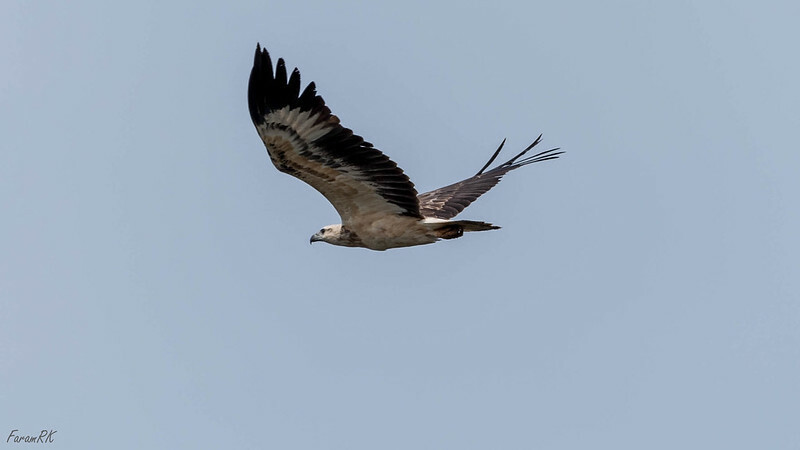 It did a majestic flyby over the viewing area and disappeared towards the south west. As per the announcer, it had flown all the way from Guam and had departed its airbase early morning. Although the show would last for another couple of hours, most people, including myself started streaming out towards the exit. 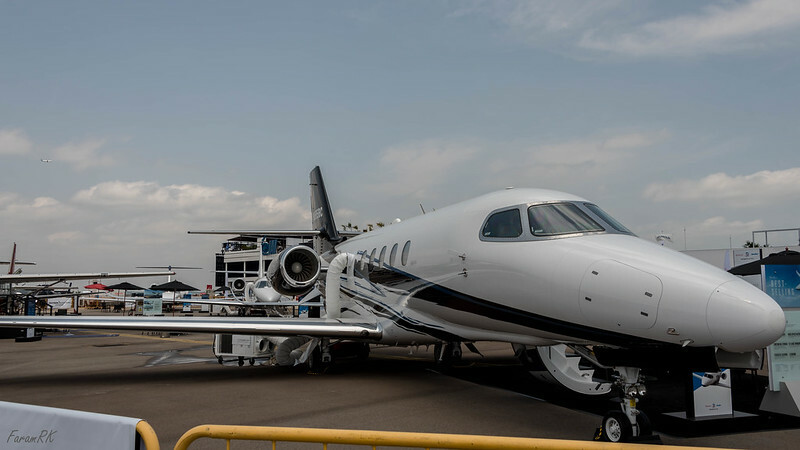 Due to the hot sun, hot tarmac and muggy weather, in spite of the excellent arrangements provided by the organizers, it had been a tiring, though eminently satisfying, day and it was time to head home (or hotel). Due to the long exit lines, it took another half an hour to finally board the shuttle bus. 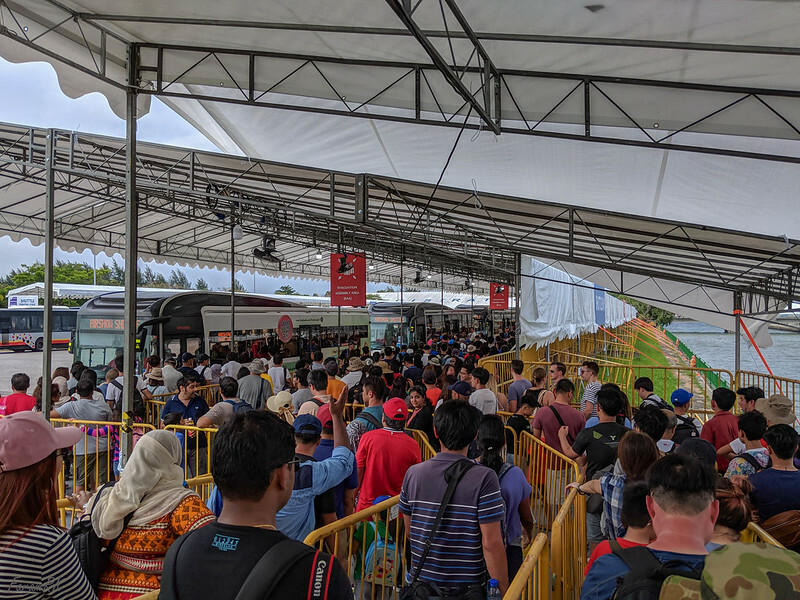 Of course, due to the Singaporeans discipline and patience, there was no pushing, shoving, fighting or people trying to sneak through the queues. I shot 1,944 images (1,705 with the D750, 238 with the RX10m4, 1 with the Pixel 2). These yielded 363 keepers. I also shot 20 short video clips with the RX10m4 and Pixel 2. For the flying display, on the D750, I shot in Shutter priority with speed 1/4,000s for the jets and 1/320s for the turboprops. I also used shutter priority for the static display and adjusted the shutter speed to get the required depth of field (I could have used Aperture priority in this case). I used Aperture priority on the RX10m4 and shot it wide open, which yielded a shutter speed of at least 1/2,000s most of the time. Due to the hot sun, its advisable to fully cover up, including a wide brimmed hat. A water bottle is also required. One nice touch to the RSAF flying display was a pass dedicated to all their veterans and servicemen who had passed away. It had the F-16s doing graceful barrel rolls around the leading F-15, to the sound of Alan Walker's 'Faded'. The jet roar adds to the song :) You can see it in the video below. I really enjoyed the airshow and a big thanks to the organizers and the highly trained pilots and crew for putting on a superb show. To borrow from MacArthur, 'I shall return' ! Introduction This post describes a way to display an OpenCV Mat object within a JavaFX Image.